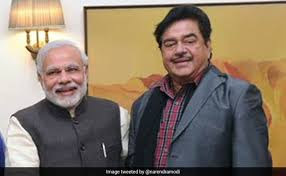 What's the big fuss over an affectionate hug, actor-turned-BJP parliamentarian Shatrughan Sinha wonders in his latest tweet-strike at Prime Minister Narendra Modi. In his posts today, Shatrughan Sinha took on PM Modi over his response to Congress president Rahul Gandhi's sudden hug in parliament during the no confidence motion debate on Friday. Mr Sinha described Rahul Gandhi's gesture as "splendid" and advised - accept it with love and grace. 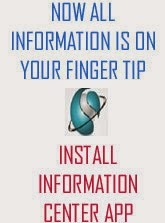 The prime minister had derided the hug and said on Rahul Gandhi in the Lok Sabha: "What is his hurry to come to power?" He had also said at a rally the next day that the hug was forced on him. On Friday, Mr Sinha, a huge critic of his own party and a consummate rebel, was seen by many as an uncertain bet when the BJP was counting the votes on its side ahead of the no-trust vote. The veteran actor ended speculation by declaring he would vote with his party against the motion. "As long as I am in the BJP... I'll support it and follow every rule including a whip," he said. Mr Sinha was among the six BJP lawmakers that were tracked by the opposition in the hope they might end up embarrassing their party at the vote. The outspoken lawmaker from Bihar's Patna Sahib hasn't enjoyed very friendly ties with his party's current leadership; a former union minister, he accuses PM Modi and Amit Shah of sidelining him. He has often dared his party to throw him out.